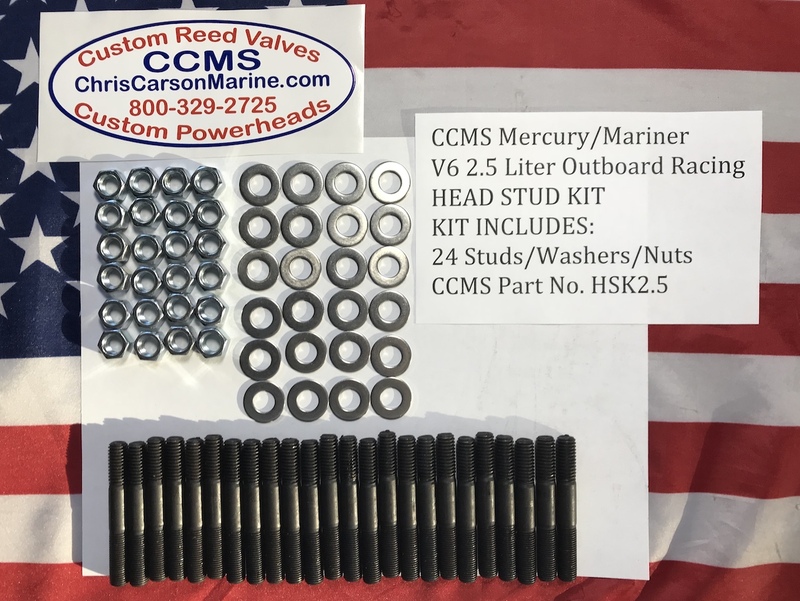 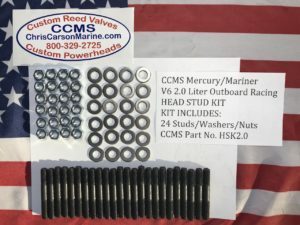 CCMS Mercury/Mariner 2.5 Liter Head Stud Kit for Head Gasket Motors Only, This Kit will NOT work on O Ring Motors. 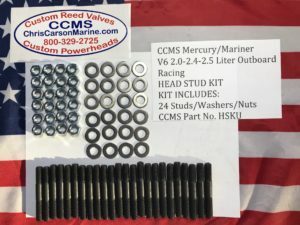 Kit comes with 24 studs, washers and nuts. 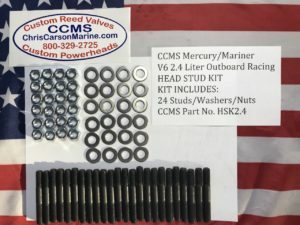 This kit will save your threads in your block as well as make it easy to install and take off your heads on your motor.